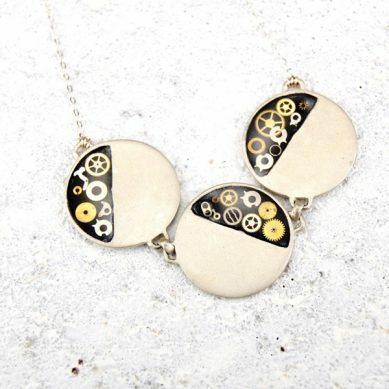 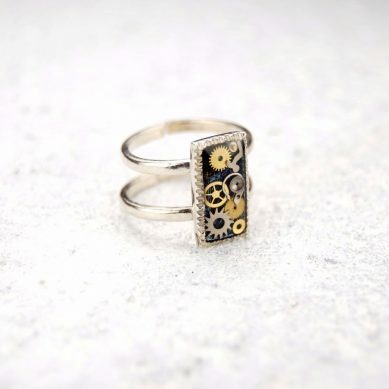 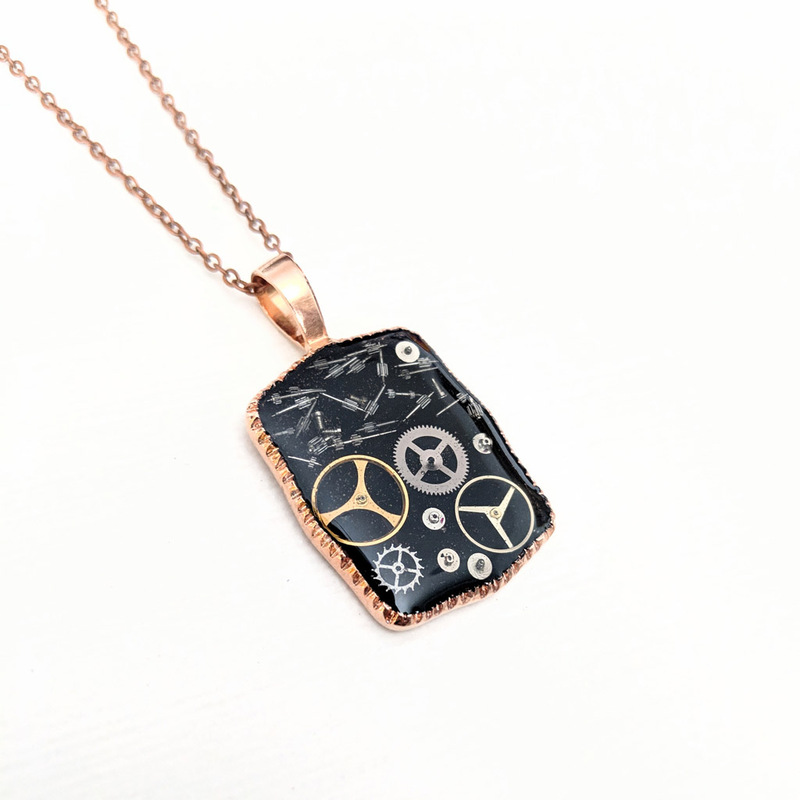 Recycled watch gears are preserved in resin in this rectangular pendant. 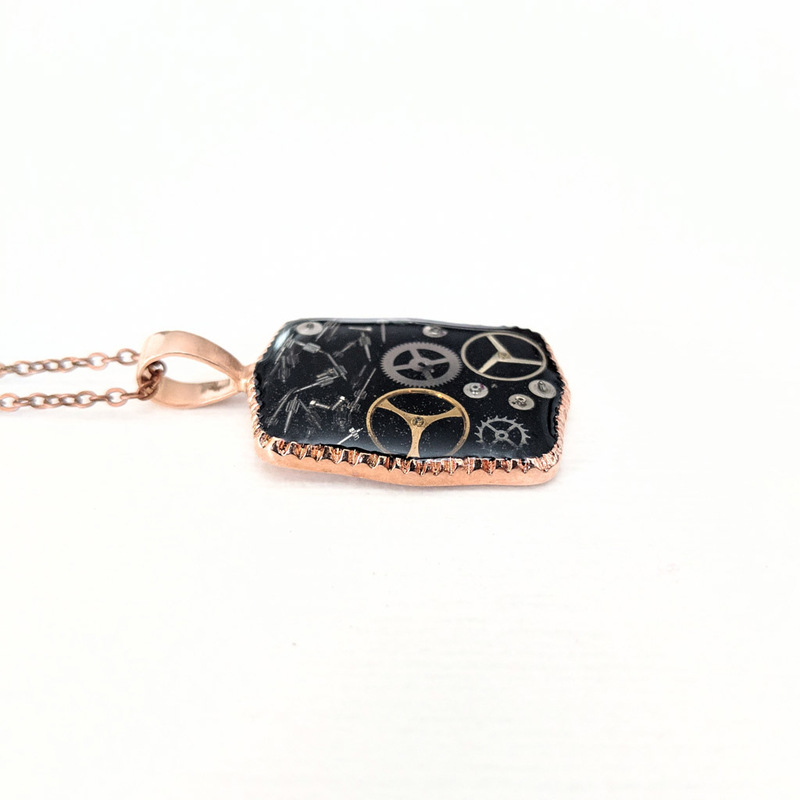 Material: Rose gold plated brass pendant. 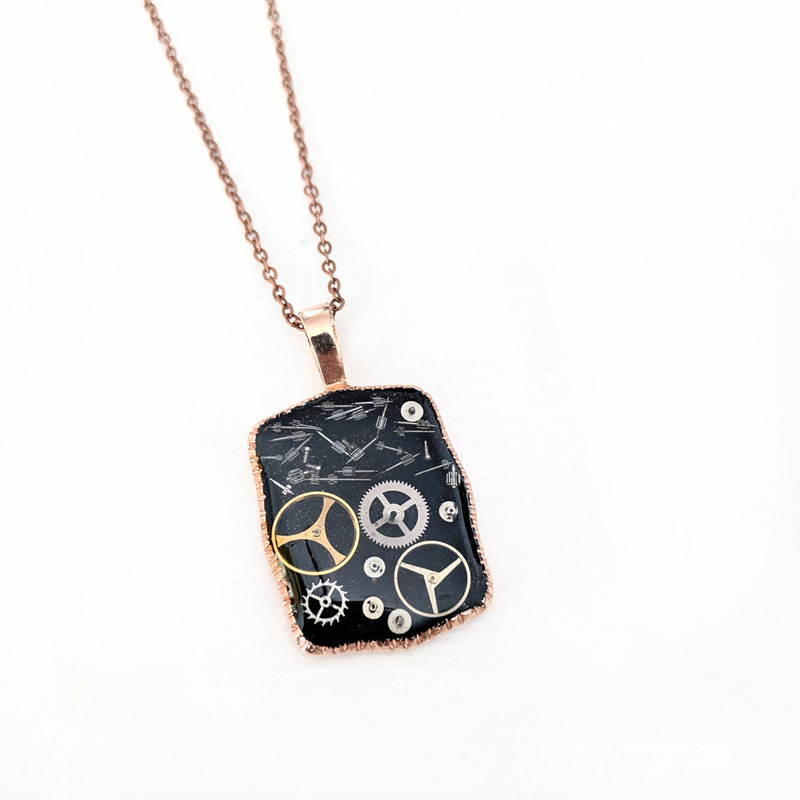 Copper plated brass chain. Copper Ball 16", Copper Ball 18", Copper Ball 20", Copper Ball 30", Copper Cable 16", Copper Cable 18", Copper Cable 20", Copper Cable 30"